Who Would Have Imagined This? – OpEd - Integration Through Media ....! Who would’ve imagined that Jamal Khashoggi, a Saudi journalist and Washington Post columnist who had been living in the U.S, would be killed inside the Saudi Consulate in Istanbul? But now we know better. Thanks to Saudi Arabia’s crown prince MBS, such has become a reality. According to the CNN, the Turkish officials suspected within hours of Jamal Khashoggi’s disappearance that he might have been killed. They raced to Istanbul airport to intercept — a chartered Gulfstream (a private Saudi) plane — that was waiting to take off. Disguised as airport staff, officers searched the plane while seven Saudis including one with a diplomatic passport waited in the airport. But they found nothing suspicious, and the flight in question was allowed to leave at about 11 p.m. local time. The other Saudi plane had taken off before investigators arrived at the airport. In the two weeks since, authorities have been trying to piece together what happened on that fateful afternoon when Khashoggi walked into the Saudi consulate to obtain paperwork to marry his Turkish fiancée — and was never seen again. Khashoggi’s fiancée Hatice Cengiz raised the alarm just before 5 p.m. on October 2 — three hours and a half after the journalist entered the consulate. At that time, she was still waiting outside. Turkish officials now say they believe that 15 Saudi men who arrived in Istanbul in two private planes on October 2 were connected to Khashoggi’s death. At least some of them appear to have high-level connections in the Saudi government. When Saudi Ambassador Waleed Al Khereiji was contacted by an adviser to Turkish President Recep Erdogan, he told him that he had not heard anything about Khashoggi. However, grisly details from an audio-visual feed from inside the consulate suggest that Khashoggi was tortured and then killed soon after entering the consulate, according to Turkish media. Turkish officials believe that his body was dismembered inside the consulate. Time-stamped surveillance images from October 2, which the newspaper Sabah published after obtaining such from Turkish security sources, captured Saudi intelligence officer and former diplomat Maher Abdul-Aziz Mutreb outside the Saudi consulate, leaving the consul general’s residence, at a nearby hotel, and arriving at the airport shortly before the chartered plane departed for Riyadh. Mutreb, who was the first secretary at the Saudi embassy in London and has been described as a colonel in Saudi intelligence, is now believed to have played a “pivotal role” in the apparent assassination of Saudi journalist Jamal Khashoggi. He is closely connected to Saudi Crown Prince Mohammed bin Salman (MBS), and photographs have emerged of the two together during the Crown Prince’s tour of the United States earlier this year. 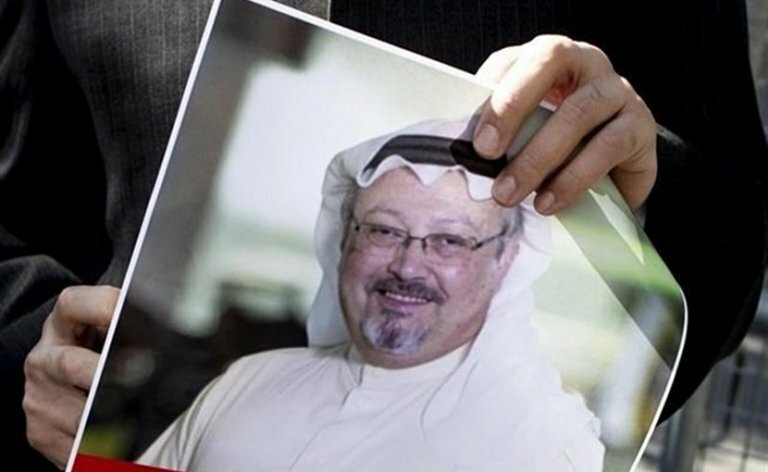 Under pressure from international media, Saudi Arabia, which has changed its narratives several times – on the mysterious disappearance of one of its loyal and yet disgruntled voices, now claims that Khashoggi was accidentally strangled Oct. 2 in a fight with 15 Saudis employed by the nation’s security services and military inside the Saudi Consulate in Istanbul. The Saudi government said it has arrested the entire team and three others. It blames two of the Saudi crown prince’s key aides – the deputy director of Saudi intelligence and his top communications adviser – for Khashoggi’s death. And the kingdom appointed that same crown prince to head a committee to review the incident and restructure the nation’s intelligence agency. Many analysts find the Saudi report as an all-too-convenient cover story that is aimed at trying to protect MBS by blaming Khashoggi’s murder on Maj. Gen. Ahmed al-Assiri (MBS’s senior military adviser) and Saud al-Qahtani (the crown prince’s top communications adviser). As noted by Fox News, the last-ditch effort by the Saudi announcement, made in the dead of night over a weekend, appears to be a pathetic attempt not only to salvage the vital strategic U.S.-Saudi relationship but to exonerate the man responsible directly or tacitly for Khashoggi’s brutal murder. That man is Crown Prince MBS, who is now described, perhaps deservingly, on Twitter by his critics as “Mr. Bone Saw”. Fox News reporter Judith Miller writes, “But the Saudi government’s explanation of how Khashoggi was killed – offered 18 days after insisting that he had left the consulate alive – is dismal. For strategic reasons, it may pass muster with the White House. But it shouldn’t. And if initial reaction is any indication, Congress may not buy in.” I pray and hope that she is right. Can this MBS monster be tamed? Can he be brought to justice in a world when monsters and demons seem to feel invigorated, if not rule? As a newly minted 29-year-old defense minister in 2015, MBS promoted Riyadh’s intervention in the Yemeni civil war against the Zaydi Shi’ite Houthis. The intervention that resulted in deaths of tens of thousands and wanton destruction has been a humanitarian and public relations disaster for the desert kingdom. MBS has also led the effort to boycott Qatar for its ties to Iran, Riyadh’s strategic competitor, and for its support for the Muslim Brotherhood. The Brotherhood is a rival Islamic movement despised by Saudi Wahhabis, who promote their own brand of extremist Islam, which many see as a resurrection of the much-despised Khariji movement of the early Islamic Caliphate. MBS was also known to have been responsible for the temporary detention and possible beating of Lebanese Prime Minister Sa’ad al-Hariri, whom MBS saw as too close to Iran and the Hizbullah, which is now Lebanon’s leading political force. MBS talked about reforming the Saudi society and dragging the kingdom into the 21st century by, among other things, letting women drive. But he arrested several of the Saudi women who had led the campaign for which he claimed credit. Under his rule, the number of jailed dissidents has grown. He touted Vision 2030, a campaign to shift the base of the Saudi economy away from oil. But that vital effort to employ young, frustrated Saudis in real, non-government jobs is yet to see its first daylight. Last year MBS imprisoned some 400 Saudi officials and businessmen in a five-star Ritz-Carlton Hotel without formal charges to extort what he claimed were their ill-gotten gains. Don’t the Saudis have right to know about his own wealth? How did MBS, a 33-year old prince, amass so much wealth in such a short time? What entitled him to buy Salvator Mundi, the most expensive painting ever sold, for $450 million? He lectures Saudis about working harder and tightening their belts while he buys $300 million villas in France and $450 million yachts with their money. Is he a hypocrite or a robber? Or, both? Obviously, MBS, like his mentor and cheer leader in the White House, won’t share such vital information. With friends like Kushner and Trump, he thinks he can get away with murder of dissidents and even hire mercenaries to do his dirty job outside the kingdom. By the way, MBS is not the only one in our time doing such heinous acts. Since Israel’s birth, its leaders have used Mossad agents to kill Palestinian leaders, and even Iranian and Iraqi scientists. Kremlin has done the same thing with its own dissidents. For years, the monarchs in the Middle East have hired mercenaries to do their unfinished tasks of silencing dissidents that live outside their reign of authority. Since 9/11, we have already seen Erik Prince’s American mercenaries deployed in places like Iraq, the UAE and even in Africa, carrying out targeted assassinations and wanton massacre of civilians in war-torn countries. For months in war-torn Yemen, some of America’s most highly trained soldiers worked on a mercenary mission of murky legality to kill prominent clerics and political figures. The US mercenaries’ plan was to attach a bomb laced with shrapnel to the door of Al-Islah’s headquarters, located near a soccer stadium in central Aden, a key Yemeni port city. The explosion, one of the leaders of the expedition explained, was supposed to “kill everybody in that office.” Just imagine the magnitude of the criminal intent – killing everyone including Mayo! Based on credible reports, Spear Operations Group arranged for the UAE to give military rank to the Americans involved in the mission, which might provide them legal cover for their otherwise illicit activities, including war crimes. What a messy world that we are living in that brings in former archenemies to conspire to assassinate politicians and dissidents whose only crime is to speak their mind and demand better for their people! In this newly found fondness, the ends justify the means blurring the difference between the right and the wrong. Nearly 14 centuries ago, Muhammad (S), the Prophet of Islam famously said, “A time will come upon the people when adhering to one’s religion will be like holding on to hot coal.” [Tirmizi, narrated by Anas ibn Malik (RA)] The sad fact is: in our time, even an agnostic is not safe! It is a difficult time indeed for conscientious human beings who dare to speak the truth. Betrayed by their own government they often live under insecurity. No place is safe for them unless they either become cheerleaders for the despots and thugs or are nonchalant and mum about their own sufferings and surroundings. But the struggle for a just society must go on whether the despots like it or not. The guys like MBS may need people like Sisi and Trump to protect them. But for how long will such unholy honeymoon last? Let the lessons of history awake them to amend their ways before it is too late.